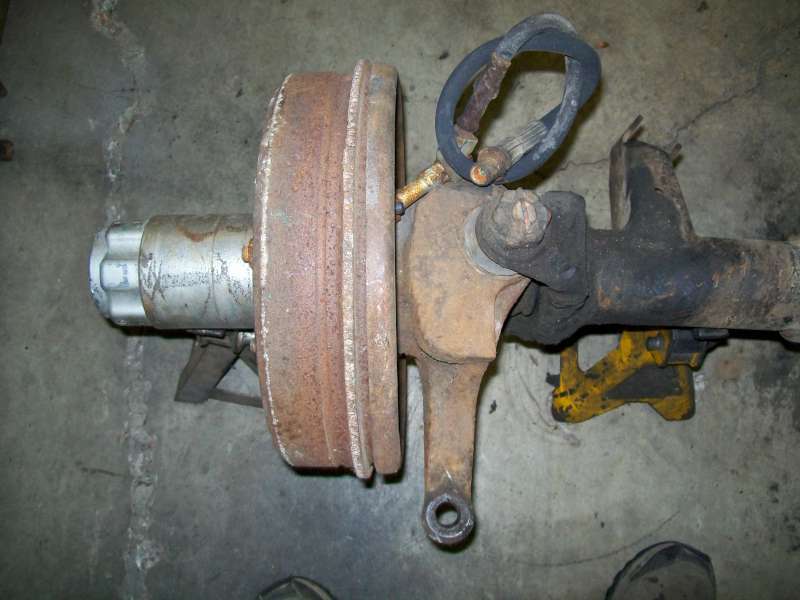 At first glance that 1969-1972 Chevy/GMC Drum Brake Dana 44 front end for $50 seems like a great deal! But wait - all is not what it appears. 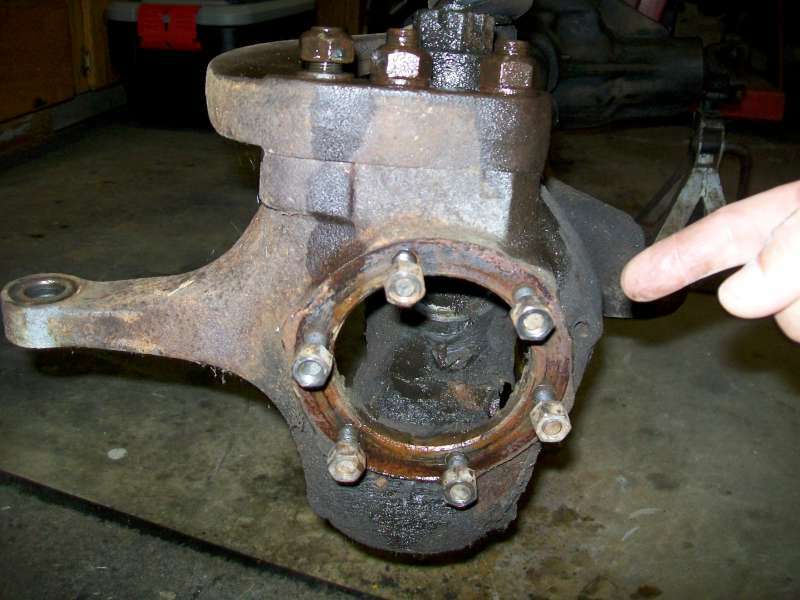 There are enough differences between the '69-'72 model and the '73-'78 model that the older drum brake axle might not even be worth $50. 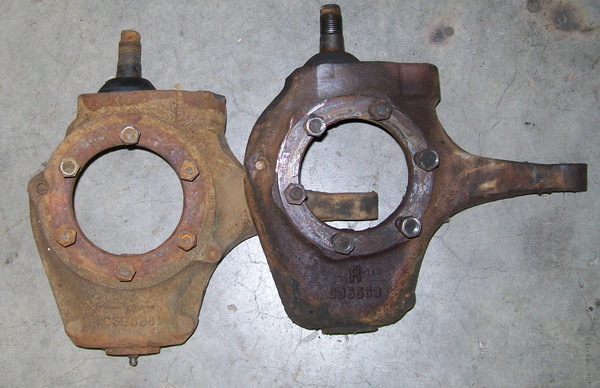 To start there are TWO different width Chevy/GMC drum brake Dana 44's - WHAT? I thought all Chevy D44's were the same.... The pickups got one width (standard 67.5" wms-wms) while the Blazers and Jimmys got a narrower version ( 65.25" wms-wms). 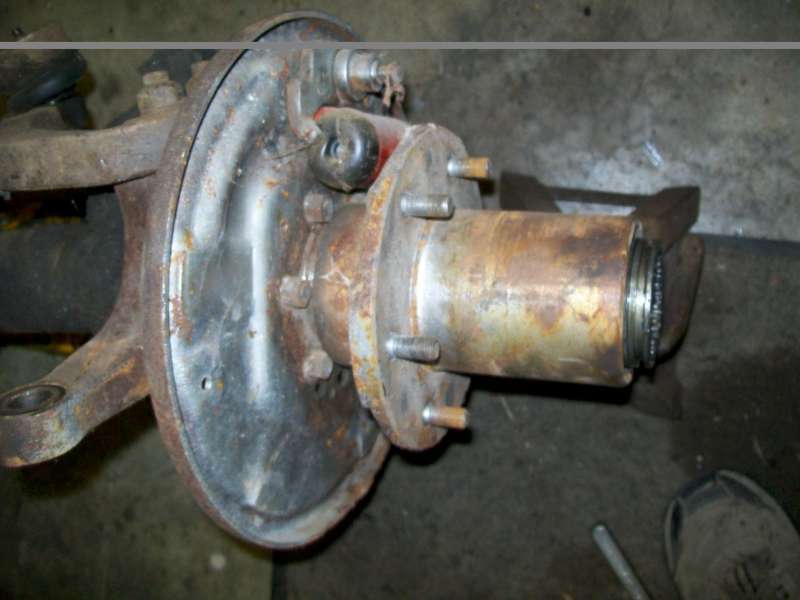 The knuckles, spindles and hubs are also unique to the drum brake models. 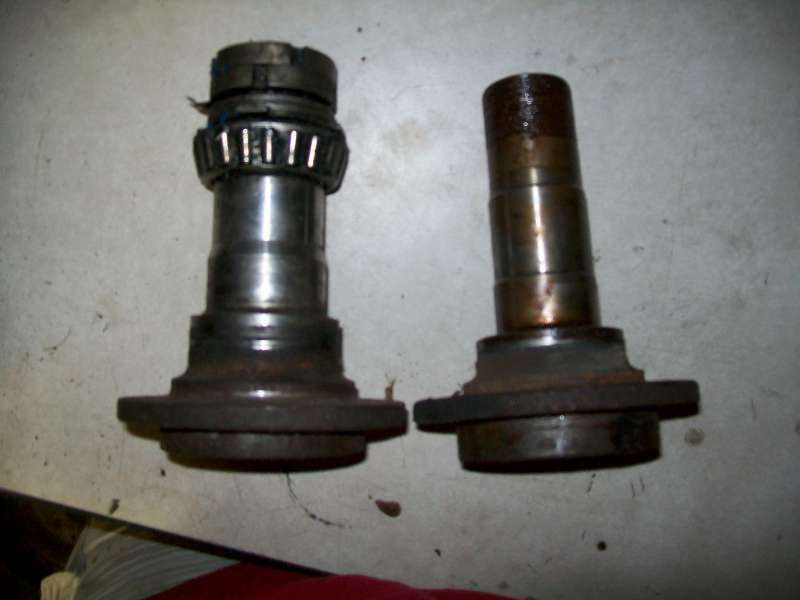 And on top of that the axle shafts use the smaller and weaker 260x u-joint vs. the newer model 297x and 760x u-joints. 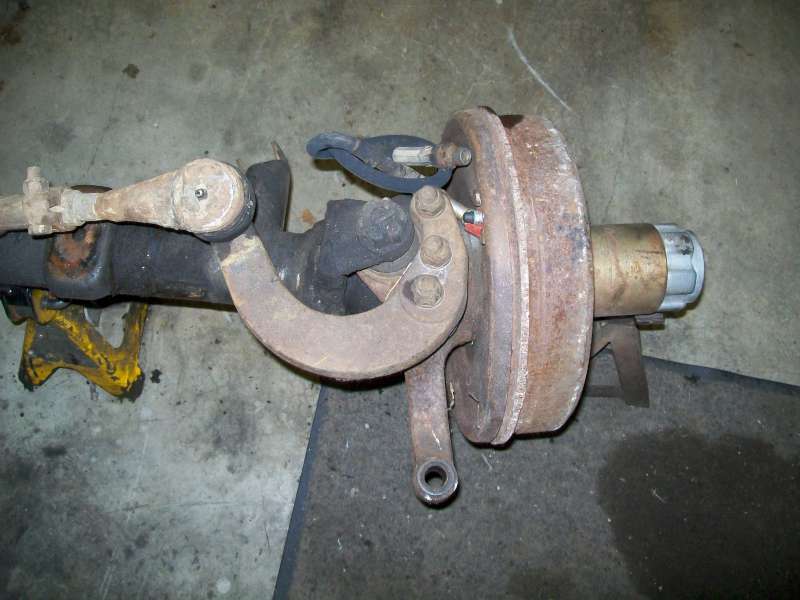 So by the time you factor in all of the oddball parts, the flat top knuckles that will not work and the weaker axle shaft u-joints, you really do not want to waste your time using a drum brake axle for any swap or build. 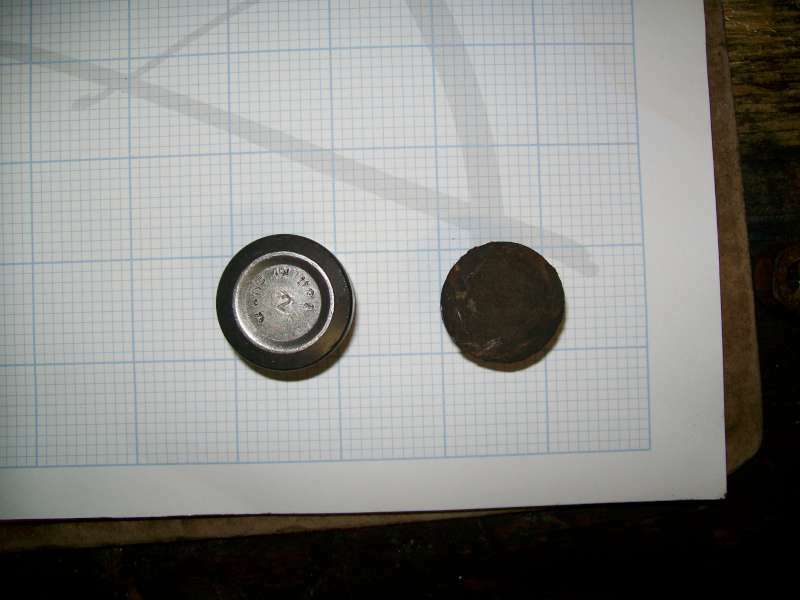 Drum baking plate and hub - hub is not machined to fit a rotor. Goofy drum brake knuckle, it may be a flat top knuckle but it will not work with disc brakes. Notice: Knuckle casting does not allow disc brakes to fit - STAY AWAY FROM THESE FLAT TOP KNUCKLES! Notice: Different knuckle matting dimesnsions. 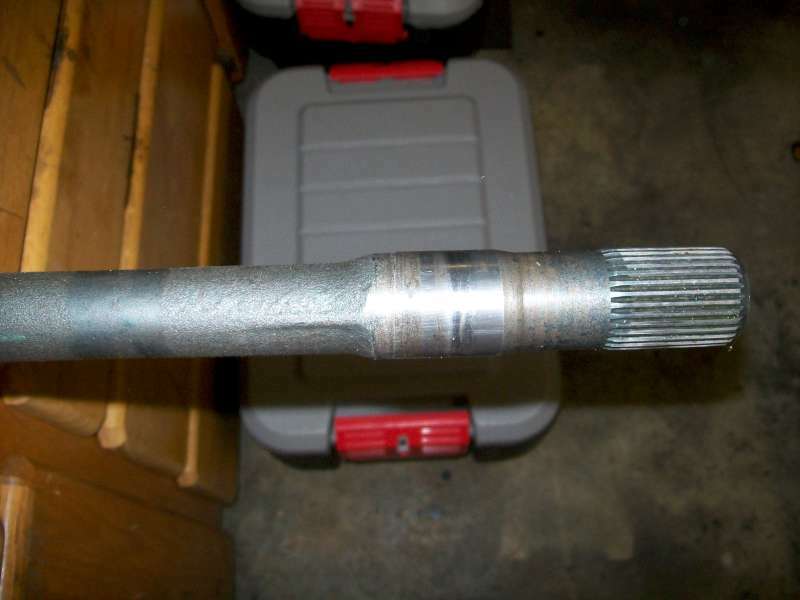 Notice:Super neck down axle shaft diameter.